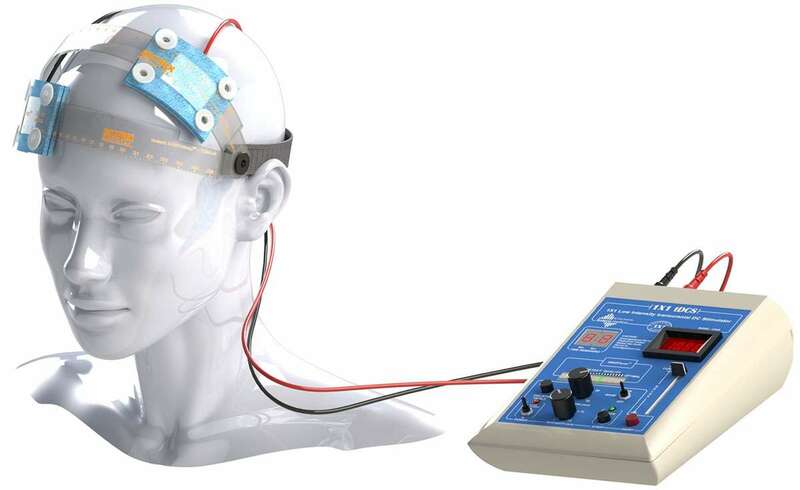 What is Transcranial Direct Current Stimulation (tDCS)? Transcranial direct current stimulation (tDCS), is a non-invasive, painless brain stimulation treatment that uses direct electrical currents to stimulate specific parts of the brain. The therapy works by delivering a low intensity electrical current to part of the brain responsible for abnormal pain sensation. This constant, low intensity current is passed through two electrodes placed over the head which modulates neuronal activity. The treatment is not surgical and drug free. For patients this means less complications and less risk. If you are suffering from Fibromyalgia or Migraine you may benefit from this new technology. There are two types of stimulation with tDCS: anodal and cathodal stimulation. Anodal stimulation acts to excite neuronal activity while cathodal stimulation inhibits or reduces neuronal activity. Now available in Canada as an in-office treatment. PainX™ tDCS System is a non-invasive medical device used at the Montreal Neurotherapy Center that stimulates the brain via an electrode on the hair. It is a safe and effective in-office treatment for fibromyalgia or migraine. To learn more on the device by soterix, click here. Are Transcranial Direct Current Stimulation (tDCS) Effective? Recent studies support a therapeutic potential of tDCS in patients with chronic neuropathic pain, Parkinson, stroke recovery, tinnitus (ringing in the ears), traumatic spinal cord injury, depression and other illnesses. tDCS has not been approved by the FDA for any therapeutic applications, thus treatments are considered an “off-label” application. Although tDCS is still an experimental form of brain stimulation, it potentially has several advantages over other brain stimulation techniques. It is cheap, non-invasive, painless and safe. It is also easy to administer and the equipment is easily portable. Several studies suggest it may be a valuable tool for the treatment of neuropsychiatric conditions such as depression, anxiety, Parkinson’s disease, and chronic pain. Research has also demonstrated cognitive improvement in some patients undergoing tDCS. Currently, tDCS is not an FDA-approved treatment.